Energy saving — it reduces 30% power consumption compared with LCD screens. High brightness and contrast — With LED screen you can see all the test pictures clear even under strong light. The brightness of LED screen decreases only 30% for using 100000 hours. And the color of the screen will remain the same as a new one. Optimal design — reduces the extra cables inside the instrument. The less cables, the less troubles. Much lighter — The LED screen is lighter than the LCD screen. Cut down the waiting time of shifting charts. 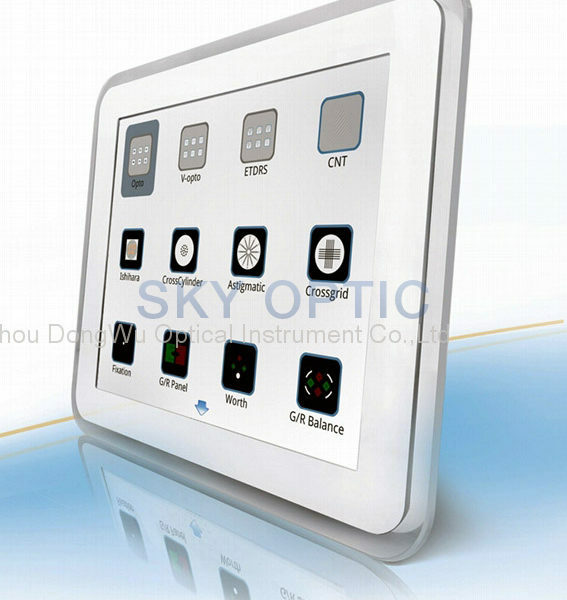 Respond much faster to your operation on remote controller. 3/. 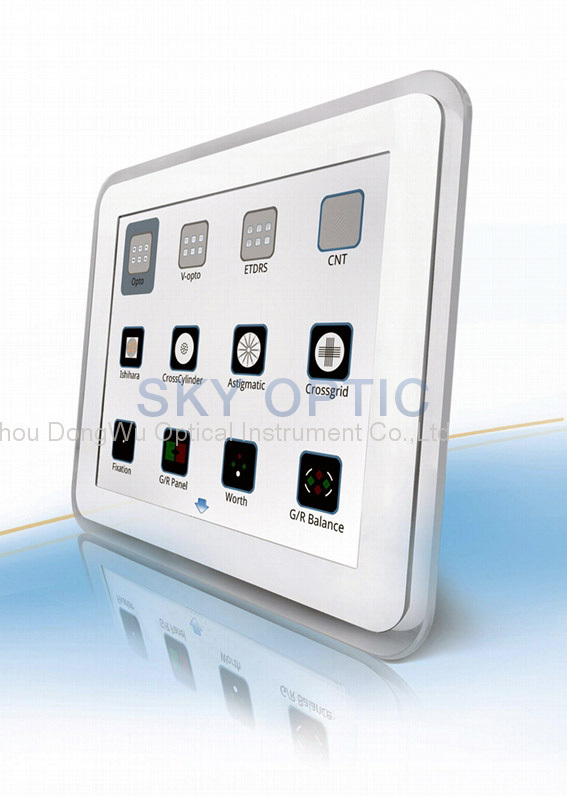 More options of optotypes display style are offered— V Style Optotypes which can avoid crowding phenomenon. 4/.The latest software version will be released at the same time. The system based on linux platform. 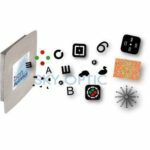 NEW LED Vision Chart C900I 17 inch XGA Panel Kategorie: Sehzeichen-Monitor- NEU. 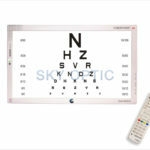 Neu LED Vision Chart AK M20 22"